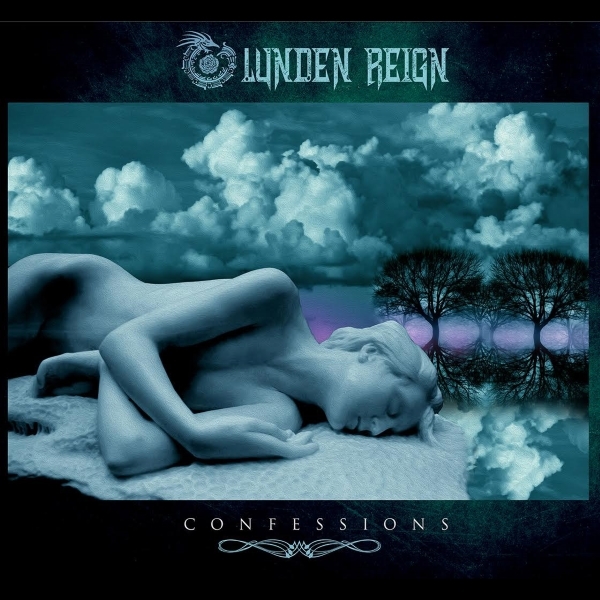 Los Angeles – On the heels of their critically acclaimed debut album, Lunden Reign is releasing their second album “Confessions” on limited edition 12-inch vinyl! The record is complete with 10 powerhouse songs that focus on political emotions and empowerment as well as some fantastic love songs that will make the hairs stand on your neck. Nikki Lunden’s vocals have really come into their own realm as distinctive and unmistakable as well as the sound of Lunden Reign itself. Laura Espinoza-Lunden’s songwriting continues to blow everyone away with every line and riff and with the help of their producer “The Wizard” Luis Maldonado, these songs have grown far beyond the band’s dreams. Lunden Reign can’t wait to share them with you! Lunden Reign is composed of two core members: Nikki Lunden (Lead Vocals/Guitar/Composer) and Laura Espinoza-Lunden (Guitar/Composer). Lunden Reign’s music is described as ‘Big Beat Alternative Rock’ or ‘Modern Classic Rock’. Some say it’s the signature album for “ROCK’s REBIRTH”. The band’s debut concept album “American Stranger” was released on Cleopatra Records March 17, 2015, and began receiving worldwide critical acclaim almost immediately. The 10 original songs are scored with layers of haunting melodies, uplifting guitar riffs blended with a sharp edge and a massive beat. Laura Espinoza-Lunden’s innovative synth guitar riffs along with Nikki Lunden’s voice have been at the foreground for the two frontwomen to define the Lunden Reign sound, enhanced by longtime producer & co-writer Luis Maldonado (Train, Lisa Marie Presley). Their first album “AMERICAN STRANGER” received critical acclaim and made multiple music magazines “TOP 10-BEST OF” Lists for 2015. You can hear songs and watch their videos at LundenReign.com. Along with Laura and Nikki Lunden, Lunden Reign features longest standing musician in the band, bassist Matt Denis. He joined with us in late 2013, just in time to record on the final song for “American Stranger” – “Love In Free Fall”. The new album features both Matt Lucich and Noel “Fredo” Jasso on drums. The band has brought Morgan Young back to the kit for their live shows. Morgan played drums on “American Stranger” and Laura and Nikki are thrilled to have him back on stage with them. Lunden Reign’s newest addition, Julian Tomarin has been playing guitar with the band for nearly 2 years. Although not considered “band members”, Laura and Nikki would like to give credit to their producer Luis Maldonado and sound engineer Devin Hoffman for their instrumental contributions to the new record. These two guys worked tirelessly to make this album what it is, whether it was adding synths, more guitars, keys, arrangements, whatever the song called for.